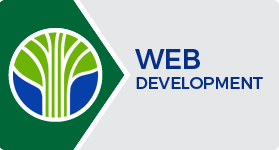 Learning Tree is proud to offer the following Web Development Programming Specialist & Expert Certifications, so you can validate your skills. As a Certified Specialist in Web Development, you have the ability to leverage CSS and HTML to design and rapidly develop dynamic web pages. As a Certified Specialist in jQuery Development, you have the skills to rapidly develop efficient applications using jQuery, HTML, CSS and Ajax. You will create interactive forms with enhanced validation and develop custom libraries to simplify maintenance and code reuse. As a Certified Specialist in Responsive Web Design, you will build modern, feature-rich web pages with the latest standards using HTML5. You possess the knowledge to use advanced typography, special effects and flexible media and master the CSS box model for the positioning of any HTML element.